Request your free hosting now! Request your free hosting now ! 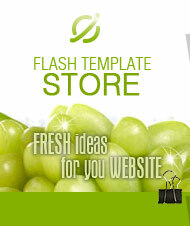 All our customers have a great opportunity to get free 6 months hosting for their recently bought templates at Flash templates store. It is not a marketing dodge! This is careful care of our customers. 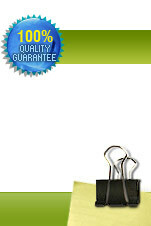 We offer Free Web Hosting service to our customers. How does it work? Very simple. We assume, that you already have bought a template. Now it's time to think about hosting for your template. Please keep in mind that you also need the name (Domain name) for your further web site. If you don't, than you can buy it at any domain registrar. So, you already have a name (Domain name) for your web site, you have a template, which is actually fully finished site which needs only to be customized your way (write your text, insert your photos, links and etc.) and some place in Internet (hosting) to upload your work of arts. After all of this you will have a full Gentleman's set! If this sound your way, simply fill in the form below. As you can see, this is simple form where you need to indicate the most important data along with other data - this is your transaction ID provided you by PayPal when you have bought the template and your site Domain name (www.yourdomainname.com). That's all. Natural question - what after 1 year? Nothing unusual. You may continue using our hosting as long as you like, or you may choose another hosting service provider company if not satisfied with our hosting service. If you continue our hosting service, you will have to pay for this. Moreover, you may choose another more powerful hosting plans. Please be aware, that for 6 month free hosting, we offer the "STANDART" hosting plan, which after expiring of free period will cost $0.99 Do not confuse with such a low price. It absolutely doesn't mean bad service or hosting parameters. This is great hosting quality and hosting parameters. In most cases those parameters are more than enough for small and middle size web sites with average amount of the visitors.